Lately, there’s something about the sartorial amalgamation of Western accents and bohemian charisma that has began to leave me weak at the knees. And I am curious, does anyone else suffer from this sartorial style affliction? Or is it just me? Something in the water perhaps? Or maybe because it simply calls to my inner rock ‘n’ roll badass or perhaps it’s appeal is more inline with it being undeniably aesthetically pleasing. The pairing go hand in hand, much the same like Thelma and Louise or like peas in a pod. And I’ve found that the Miu Miu Dahlia range is the perfect marriage of such an amalgamation. Delicate and petite yet capable to stand on it’s own. 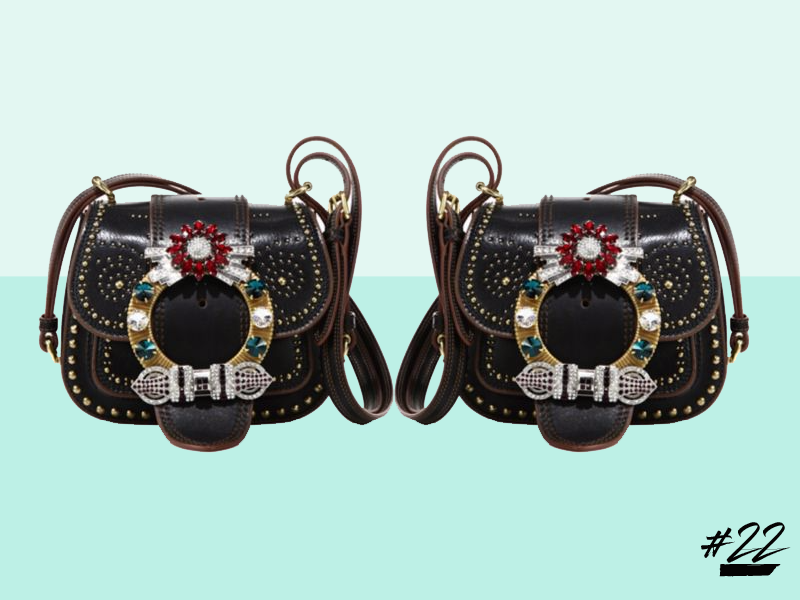 And statement is an understatement with it’s luxe embellishment. One that is unique and individual being adorned with such dainty bohemian ornamentation. I feel as though this little bad boy is set to break a few hearts (and bank accounts, like my own).